Buxton Marine, the largest Nautique boat dealership in the world and only dealer in North Texas, will expanded its Lewisville storefront by opening a second store at the Long Cove Marina on Cedar Creek Lake on Labor Day weekend. 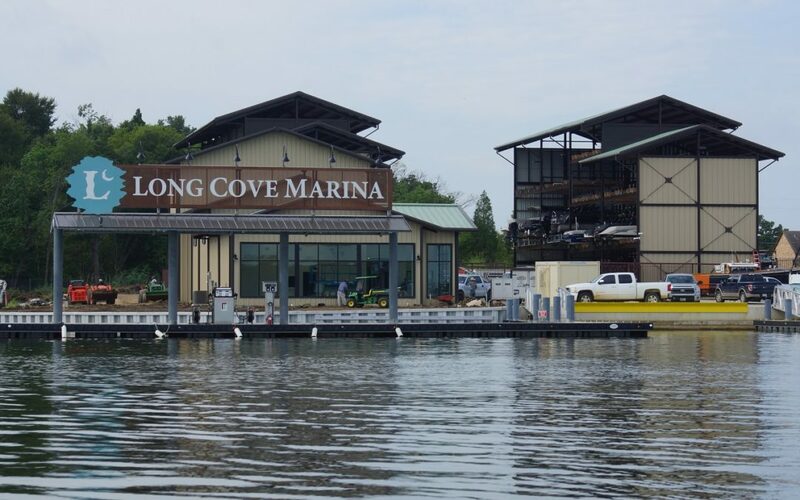 The shop, Buxton Marine at Long Cove, caters to the public as well as the neighboring luxury lake home community of Long Cove with a pro shop, service shop and ship store. Don McNamara, the founder and developer of Long Cove, met Buxton Marine owner, Phil Smith, several years ago. Over time the two fostered a friendship and found a way to join forces to fill a need on Cedar Creek Lake with a business that keeps the customers and brand at the forefront. Nautique boat owners at Cedar Creek Lake, as well as Long Cove residents, now have access to on-demand mobile service for all boating needs and maintenance plans that notify them of scheduled tune-ups. The maintenance plans also allow customers year-round boating with a special option for winterizing and de-winterizing boats. The new pro shop will offer access to a wide variety of brand-name surfer, ski and wakeboard accessories, and the ship store will serve as a small convenience shop with on-the-go snacks and beverages. In addition to the store opening, Long Cove residents and the public will continue to have access to the Long Cove Marina and the fuel dock. The marina is located adjacent to the Highway 189 bridge, just south of Caney City, and includes dry stack storage for 72 boats. It is the first marina on Cedar Creek Lake with dry stack boat storage. Boats are taken in and out of the water on forklifts and stored in a three-story steel building. Buxton Marine at Long Cove will be open to the public starting Friday, September 2 at 8 a.m. Hours will be extended through the weekend with specials on merchandise as well as free Nautique boat rides and demos. For more information about Buxton Marine at Long Cove, or for information on Long Cove’s luxury waterside cottages and lakefront home sites, call 214-220-9992 or visit www.long-cove.com.